The game was announced not long before releasing and I think general consensus was mixed. 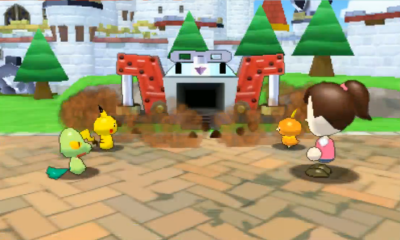 A lot of people enjoy the Rumble games, but disliked the style used in the Wii U game. Similarly, Shuffle has been a mixed bag and when it comes down to it, just like Shuffle, many of the issues with the game could be fixed if it was just a full-priced game. However, while I feel you could easily pay more than something like Pokemon Shuffle would cost, Pokemon Rumble World feels so much better in the way it was done. Prices are much more meaningful for the most part and if you do decide to pay as if it’s not a free game by buying yourself enough diamonds to hit 3,000, you receive a lovely gift. What, you ask? A digging machine that actually digs up 20 Diamonds every single day. For free. Permanently. 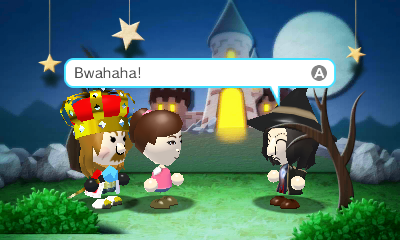 The game also makes great use of SpotPass and StreetPass–not just through random people, but also through your friend’s list. 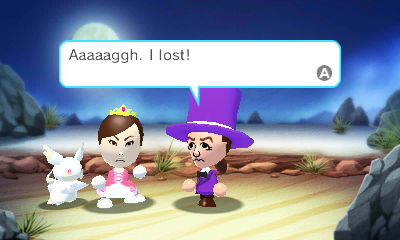 While only three Miis seem to have specific roles at a time, they are all quite helpful. 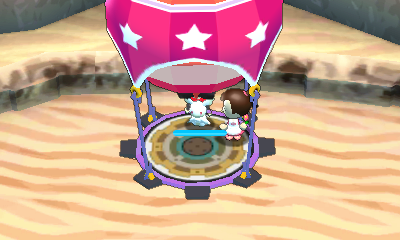 You could be offered to be taken back to the last map you played for Diamonds or go to a map that Mii’s Partner Pokemon is from for Diamonds or 500P (Price is chosen by them). It makes it a nice way to retry or grind up something versus waiting for your Balloon to fill and having to deal with the roulette. One of the neat things about the game though is most of its problems get addressed with solutions as you play. I do feel some of these should honestly come sooner, but the fact that they are even there is really nice. First of all, there are a lot of ways to earn Diamonds. Even without StreetPass, you can earn them through random people through SpotPass once a day plus any of your friends who may appear through SpotPass (in a completely separate way than the random ones). You can even use Play Coins to get more people to show up. Plus, there’s the King Requests which let you earn 5 Diamonds just from completing them and more for each bonus objective you manage to complete! 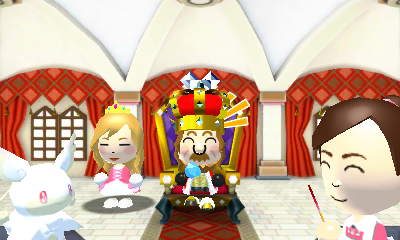 The King’s Requests are actually pretty important as they unlock several features such as more items in the store, Mega Evolution, and the Timing Stop which lets you essentially pick what you want from the Roulette versus having to try and time it (which isn’t impossible, but isn’t guaranteed either). And while prices can be expensive later on, both the Balloon Filling and Timing Stop have VIP Passes for 40 Diamonds and 20 Diamonds each which will actually make it so each of those only takes 1 Diamond to use from then on which really does save a lot in the future. 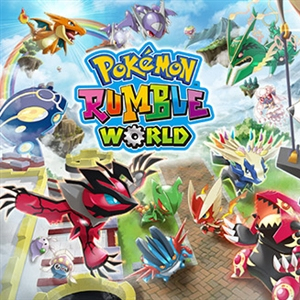 Unfortunately, the amount of randomness staple to the Rumble series is still there with no guarantee to get a Pokemon (unless its sparkling when it spawns or wobbling when you knock it out, but there’s no guarantee for those either!). Even hoping you have the right star rank for what you want is random. 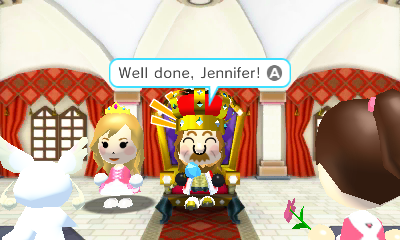 Despite that, being able to use the Miis to go back to where you last were to try again (especially if you were in the middle of a map with a legendary) is amazing even if it costs diamonds. They do give you some incentive to play levels you’ve finished though! 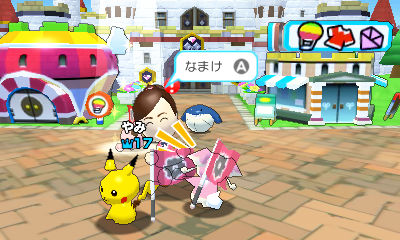 There are many different titles (Such as two related to Furfrou–one requires you to see every single trim/look while the other requires you to catch them all) for one and replaying a level boosts the power of the Pokemon found there (so you can get stronger ones) along with giving you much more money. Some things do get pretty expensive so don’t spend it too fast! I will say the biggest disappointments though are when you “lose” (Your Pokemon loses all its health or you run out of time in a challenge) and Mega Evolution (with a smaller disappointment of no Diamonds to Coin transaction option), The only way to continue is with Diamonds. Past games did let you try again for free and I think a slope of free, coins, and then Diamonds or even coins then Diamonds would’ve been much better than 2 Diamonds every single time. At the very least, continuing is much more rewarding and better priced than in Pokemon Shuffle. While I knew there was still the transformation thing, I kind of expected it just to happen whenever and you could roam around in the Mega form in the plaza or show off your Megas in your ID or something, but instead, it’s just a small battle thing (where you don’t even see the Pokemon up-close if you do it) and it really doesn’t add much. 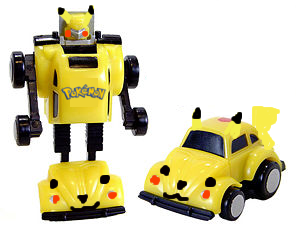 The Pokemon doesn’t get any stronger and so there’s just the typing thing. I just would’ve enjoyed it if it was handled much more like a full form change. You switch out one for this form version kind of like how there’s so many different kinds of Furfrou you can get. And in the toy sense, it just doesn’t make sense the way it does work. If you switch it out and then back, you need to Mega evolve it again as well. But the biggest issue is that it gets very expensive. Your first Mega Stone is free, but whoever you decide to give it to has it permanently. 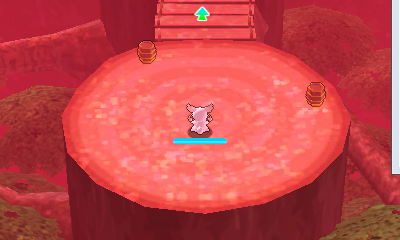 Which means if you get a better version of that Pokemon (afterall, you may be able to switch attacks, but you can’t make them more powerful), you now have to pay 5 Diamonds to give it a new Mega Stone. I think it would’ve been a lot better if you could purchase the stones themselves for a set price and then give them as you see fit because if I keep getting a better version of the Pokemon I want to use, I’m going to end up having to keep buying these Mega Stones even when I technically already have one. I’m hoping maybe this is something they could change up later (including adding those final two Pokemon in the Pokedex right now)–especially the fact that your Mega Pokemon can not be seen in your Portrait/when set as a partner. It means nobody will ever really see it or even be able to tell easily and that’s kind of disappointing. The feature just feels rather pointless unless you really like the look and/or typing of a certain Mega and even then, you can’t even really enjoy that other than seeing it maybe sometimes in end cutscenes and from a zoomed out back view. 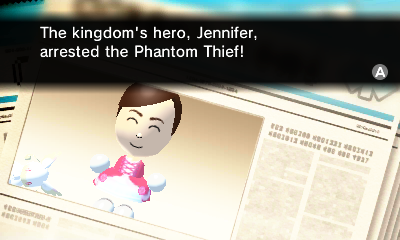 It’s especially disappointing because the game actually features some great customization for your Mii. Besides the fact that there are just all kinds of neat outfits and the background and borders you can pick for your Profile Card, you can eventually unlock a “Fashion Pass” which lets you pick pieces from outfits to make your own thing. You can pick head, main outfit, both hands, and shoes separately so if you really like a dress, but hate the hat it comes with or vice versa, you can choose not to wear that hat and even wear a different main body outfit entirely. 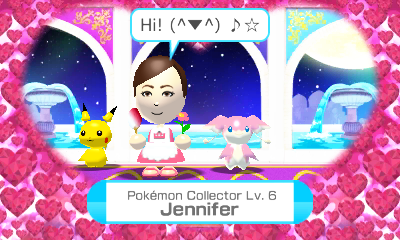 Example: No hat, Maid dress, Fan, Flower, and Your Favorite Color Sandals–this is a combination of 4 different outfits. And the music is as you’d expect with many charming songs–though, some can get rather repetitive. But yes, in short, it’s a great game and the pros greatly outweigh the cons (which could honestly be fixed with a patch). If you haven’t tried the game yet, it IS free to download so go ahead and give it a try!